As far as the significance of automation in the success of social media is concerned, first of all, it is better to comprehend the notion of automation in a detailed manner. The concept of automation in the domain of social media suggests that it is the most influential tool through which organizations and small business owners are able to communicate messages to their potential and existing customers. Therefore, there are different kinds of tools or resources available that can be applied in order to perform the task of automation in the desired way. There is no point of denying this attribute that content is becoming an important element by which social media automation could be performed in the right direction. At the same time, this is a crucial aspect to consider that it takes a lot of courage and hard work to develop content according to your own requirements or demands. During this phenomenon, managers are required to evaluate as well as improve the quality of content so that they can obtain required deliverables later on. This is one of the most influential ways of automation because at times this aspect has been observed that professionals do not spend enough when they are on leave or busy. Therefore, during these situations you are needed to update your social media activities as much as possible because social media does not go for vacations at all. In this concern, you have to be a bit more proactive in your approach as you can plan your social media messages in advance so that you are able to influence the target audiences in an efficient manner. Being a social media strategist it is your prime responsibility to go through or examine the organization’s social media pages in order to make sure the pages have enough quality content. In this concern, you will have to plan in a way so that you could easily view your scheduled social media messages for a week or month quite easily. This is the way through which you will be able to fill the gaps between posts to a certain extent. The social media automation does not mean that there is no need for human involvement in the process of automation. The social networks are actually organized and monitored by different individuals therefore, it is better to include your own flair and style so that the content should not be assumed as generic. At, the same time it should not be perceived as robotic as well and for that reason you are highly recommended to allocate the appropriate amount of time in order to develop your own style in scheduled messages. 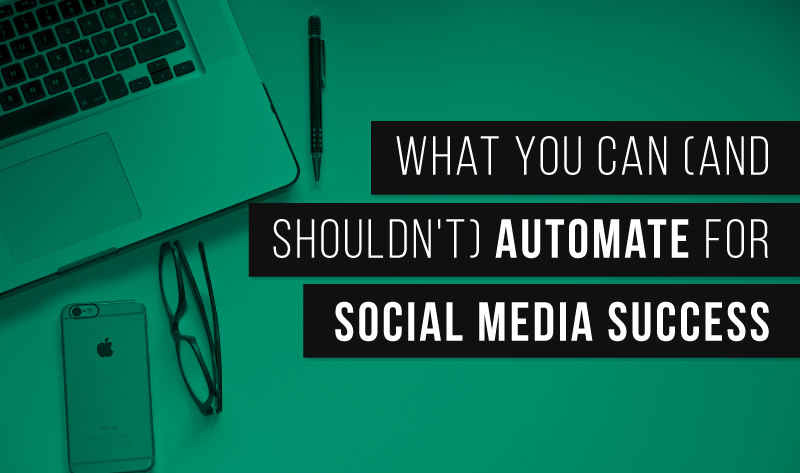 In simple words, it can be assumed that you should not automate your engagement because social media channels are considered as those platforms where interaction is performed simultaneously. This is crucial to understand this aspect that people want to communicate with the real people, therefore, you are supposed to provide your response to reality. For that reason, it becomes necessary for you to respond your target audiences with your own thoughts and ideas. People actually do not like to get a response through schedule engagement or with the help of third party involvement. This is another tactic that should not be underestimated by the professionals because at times it is better to observe the performance of schedule messages in real time. Therefore, this is the way by which you will be able to make timely adjustments in the desired way. There are so many ways that can be applied in order to track the performance of your posts in a real manner. These tools could be considered in the form of social media analytics tools in which you will get an idea about your social media automation efforts in a great way. There is another way of conducting the process of social media automation in a desired manner and this way can be easily applied with the help of RSS/Atom Feeds. In reality, RSS feeds do support the phenomenon in which articles are sent automatically and at the same time you are allowed to follow the social networks to which the feed is attached. This is one of the most beneficial ways of developing your content so that it can be easily published on different social networks. In order to attain the best deliverables in this scenario, you are strongly recommended to incorporate your RSS feed strategy with the tactics of every social network. In these situations, it is highly advisable that you should always check sent posts in order to remove any unwanted messages in a timely manner. The process of social media automation needs to be assumed as an art rather than a usual activity. Because being a social media professional it is better to comprehend the pros and cons of social media automation and at the same time you can attain different benefits provided you are able to automate the social media activities in the right direction. With the help of above-described scenario, marketers will be able to conduct the task of automation in the best possible manner. Angela Luis is an experienced social media strategist who has been providing her valuable suggestions and recommendations to different organizations for so many years. These days, she is interacting with students as well as young professionals in order to improve their awareness regarding various social media activities and tactics. This kind of interaction is usually performed with the help of blog that is commonly known as “Quick Dissertation Help”.